dark hole on the side of a mountain. go on in the dark. you will come out into a flat place among mountains. That is our town Fukushima. There is a mountain in the middle of the town. You may see it in the picture. 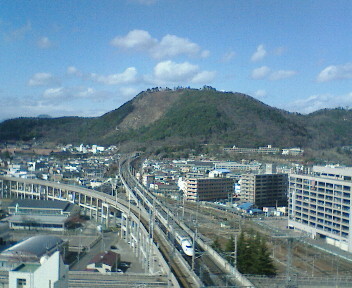 The name of the mountain is Shinobuyama. For us it is a great public garden.